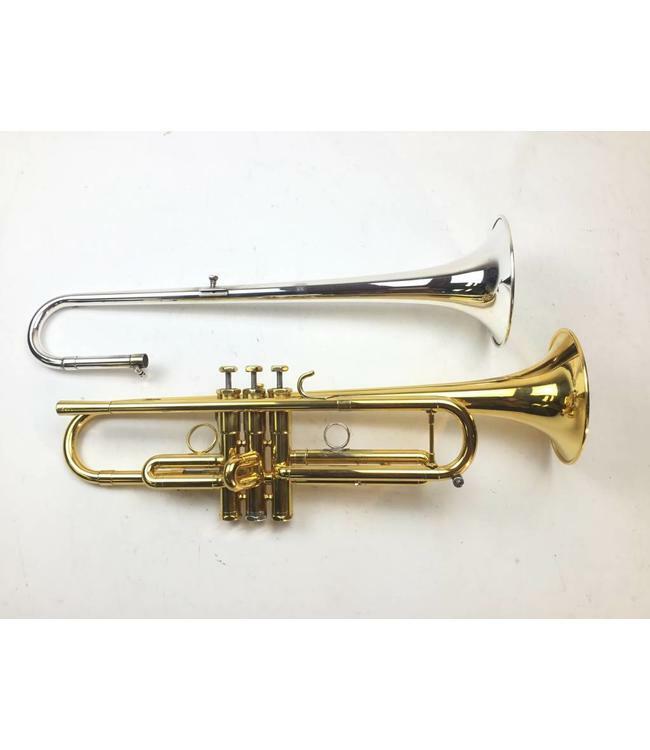 Used Schilke S42L-Faddis Bb trumpet in gold plate. Instrument includes Faddis modifications, one standard weight bottom valve caps is silver plate, Tanbe PVA, Curry brass stems, amado key on main tuning slide, sterling silver bell, additional yellow brass bell in silver plate, evidence of 3rd slide ring moved, surface scratching, evidence of bell repair, and minor gold wear through out/primarily at contact points not affecting playability. Does not include moveable brace or case.